The Most Leading and Most Profitable of All Indicators. Perfected Over Several Years. The SuperADX™ is as Close to a Crystal Ball as You Will Ever Find. in Existence... the SuperADX. Introducing the WaveTrend for Tradestation. An Extremely Accurate Indicator that Definitely Needs to Run on its Own." How Well does it Do in Ranging Sideways Markets? 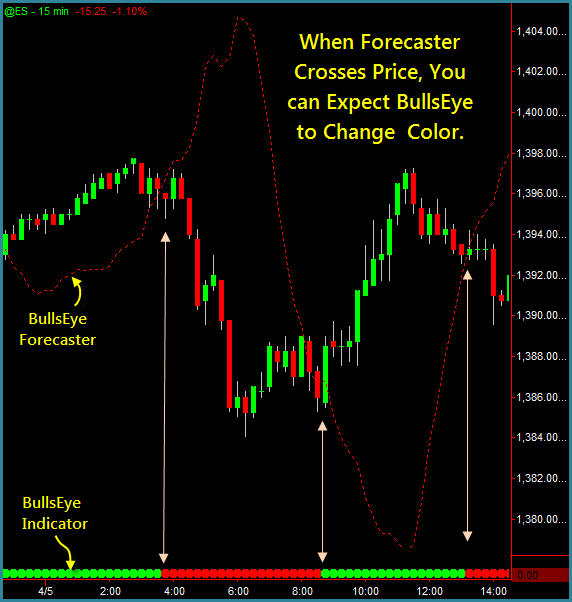 Trigger a Trade Signal in Choppy markets! of the Trend Enabling You to Catch Big Moves!" Minute, Hourly and Daily Charts! "Get more winning Trades and Catch the Big Moves. An Awesome Forex Indicator in All Time Frames "
The RibbonTrader Works Great in Choppy or Trendy Markets! due to the simple rule of having to have all 4 dots green for longs, red for shorts. That along with the Heikin Ashi candle, you can't go wrong!